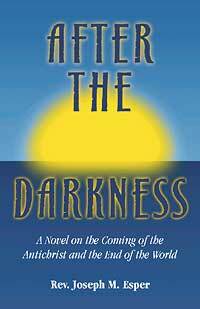 A novel on the coming of the antichrist and the end of the world. 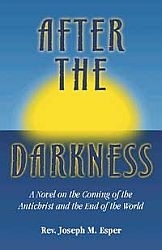 After the Darkness is a chilling and fascinating Catholic novel about the apocalypse and the last days. Rev. Joseph Esper weaves actual prophecies, visions, and predictions from over 100 different mystics, seers, and visionaries into a story that will keep you at the edge of your seat page after page. All the prophecies of the end times are explained and described in detail, like the Three Days of Darkness, the Age of Peace, WW III, the Warning, the Great Monarch, the Great Chastisement, the rise and fall of the antichrist and more.